Learn how to easily measure what people think about your course with learner satisfaction survey. 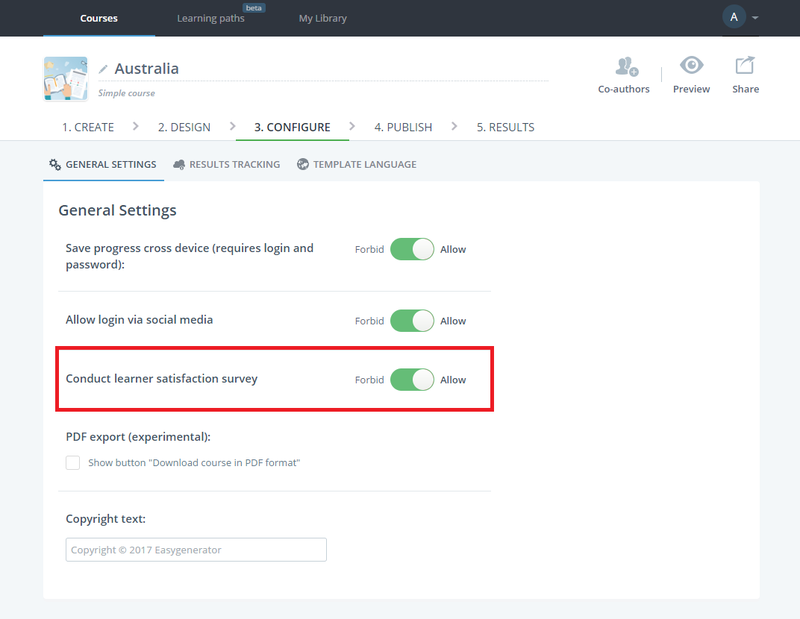 Learner satisfaction survey is a questionnaire for your users to rate their learning experience. The survey helps you measure whether your learners are content with a course or not. Note: Learner satisfaction survey is available only in the Simple course template. Note: Make sure results tracking is enabled. Your learners have to be logged into a course, otherwise, they won’t be able to take part in the survey.